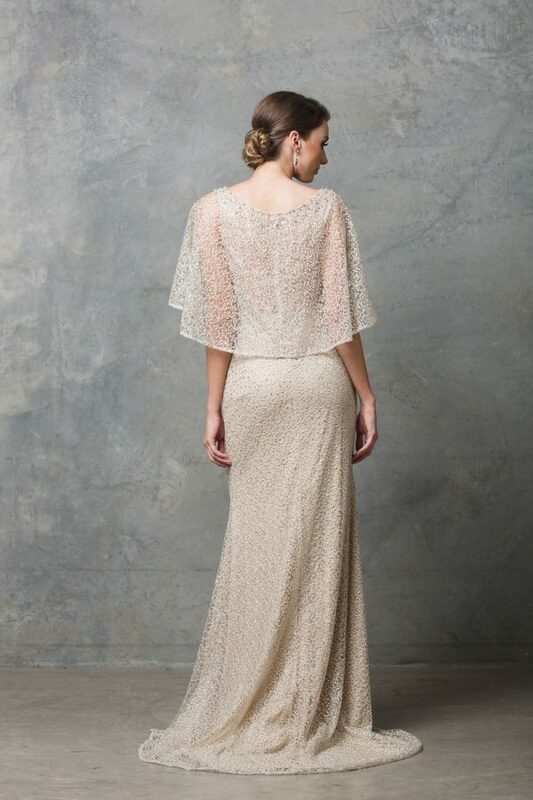 The Kamea stunning flowing wedding dress is a romantic bohemian style, featuring a sheer back intricately beaded with little cap sleeves. 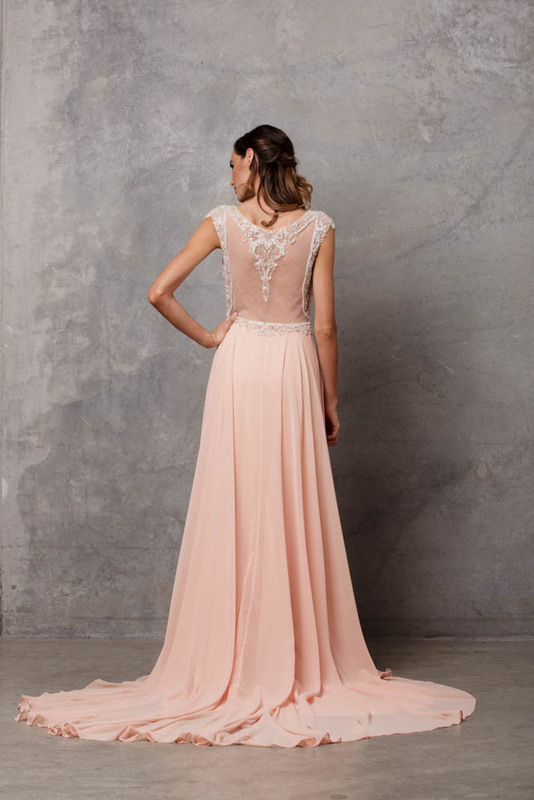 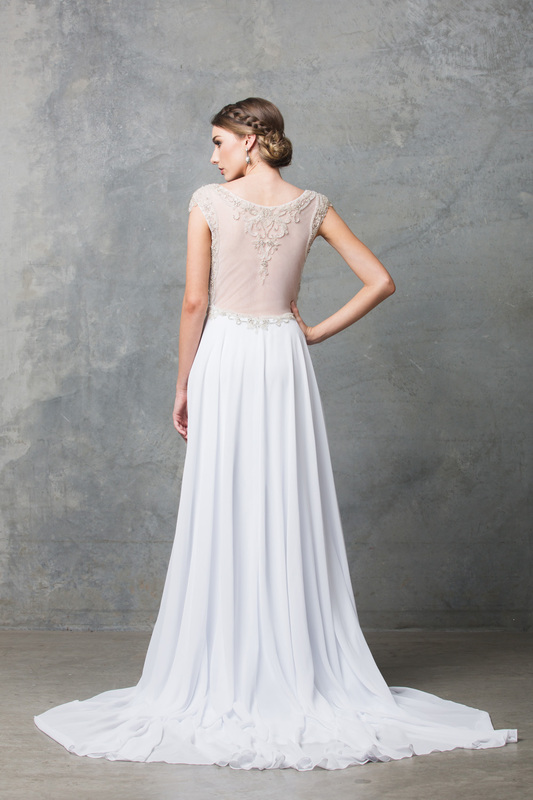 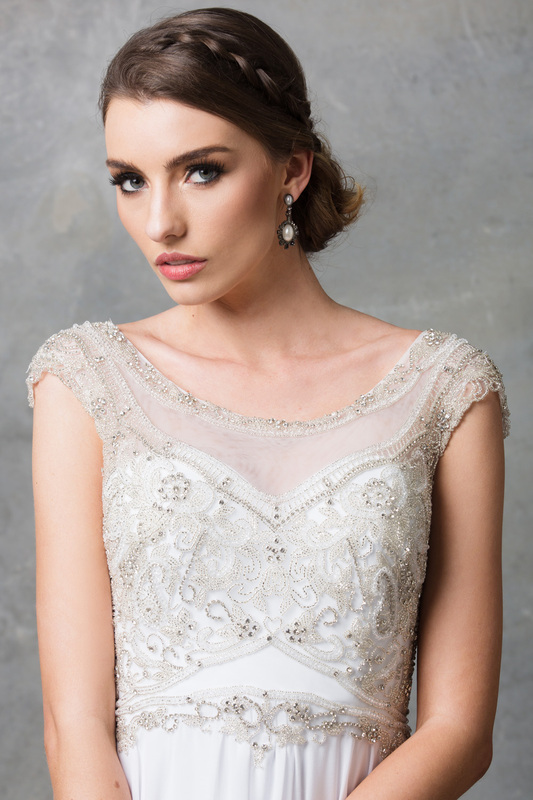 This bridal dress also makes for a beautiful ball dress. 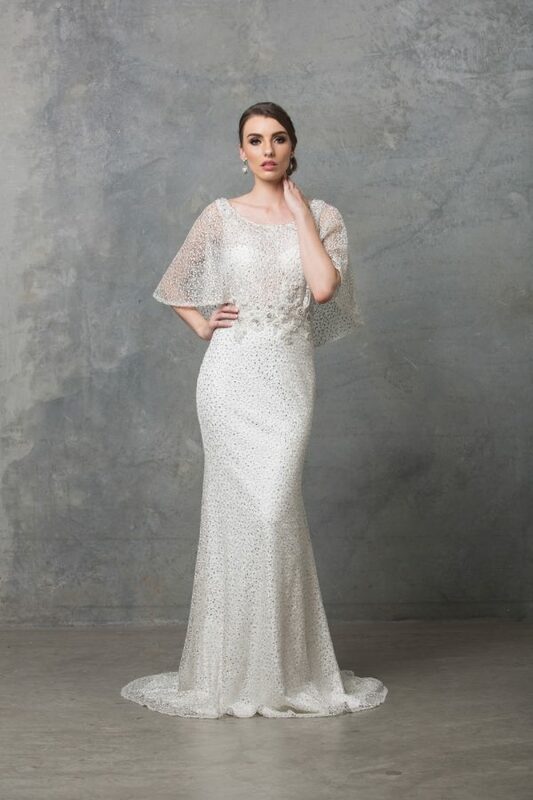 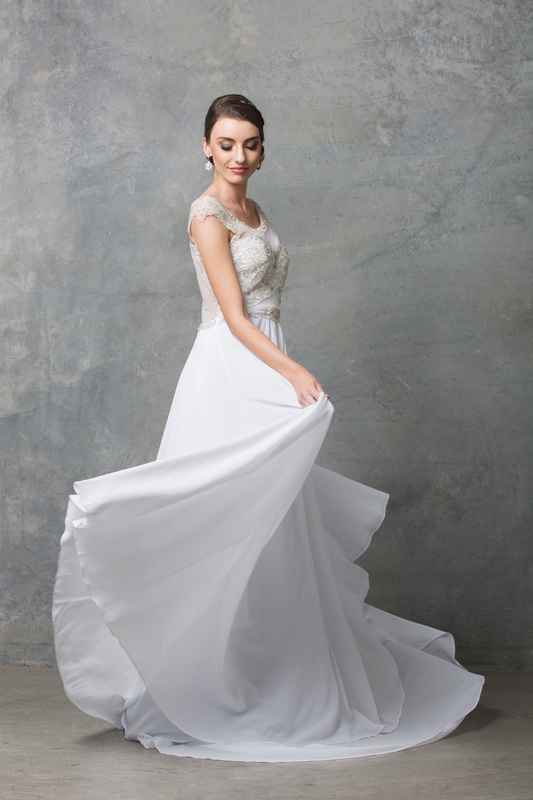 Exude Glamour in the Kamea stunning flowing wedding dress with a full flowing skirt and delicate beaded bodice this show stopper has all of the features of a romantic bridal dress.